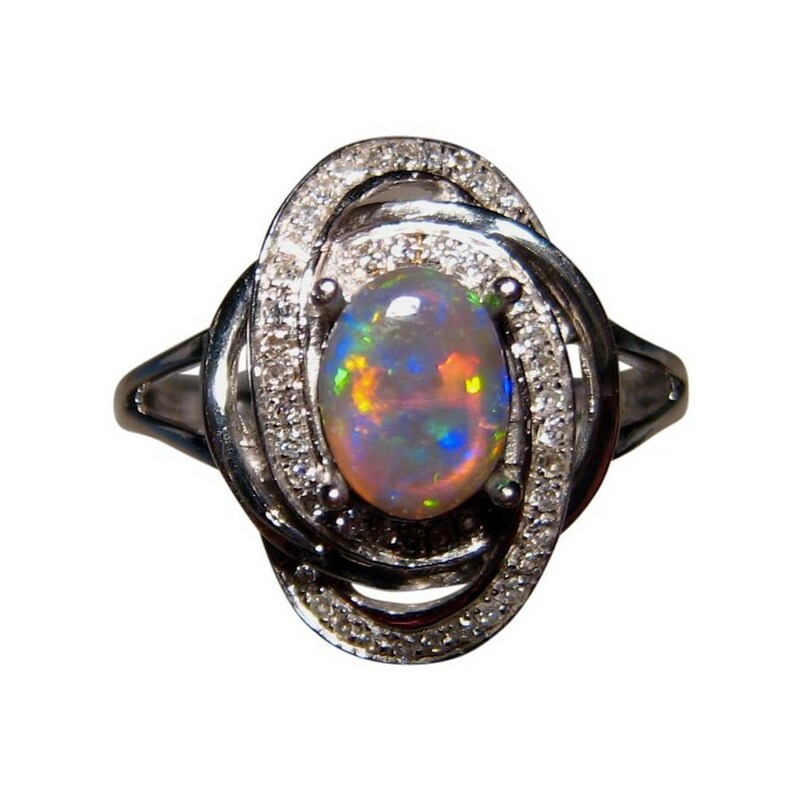 A Black Opal ring with a colorful oval Opal accented with swirls of Diamonds in 14k Gold. In stock and ready to ship. 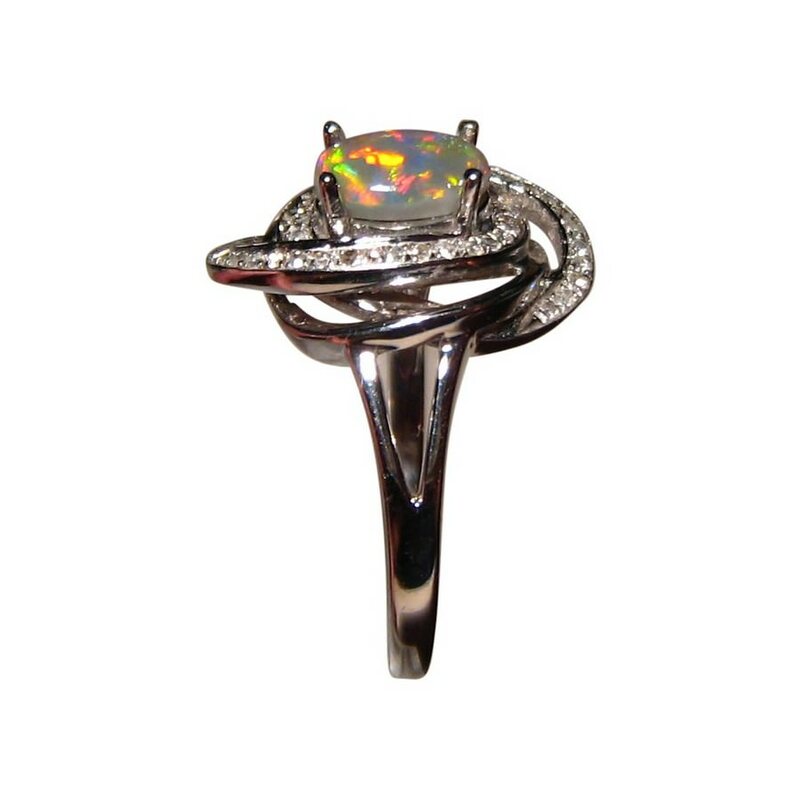 This ring features a bright and colorful oval Lightning Ridge Black Opal that is accented with small quality Diamonds around the Opal only. 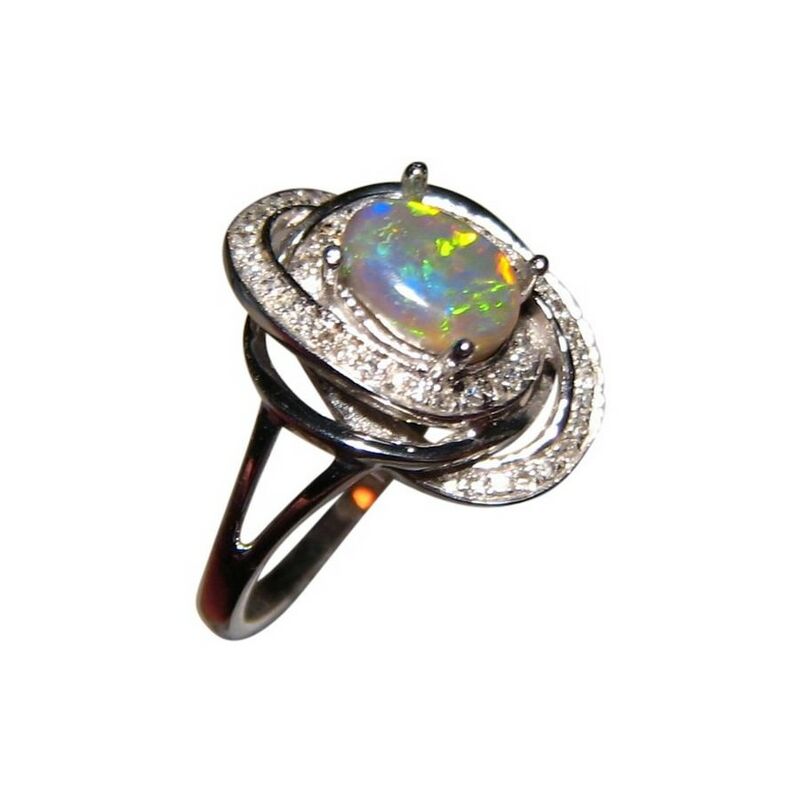 The Opal is just over half a carat and displays bright Red, Yellow, Blue and Green in a lively play of color with the swirls of Diamonds adding sparkle and size to the ring. The video below best shows how the colors dance as well as the sparkling Diamonds. 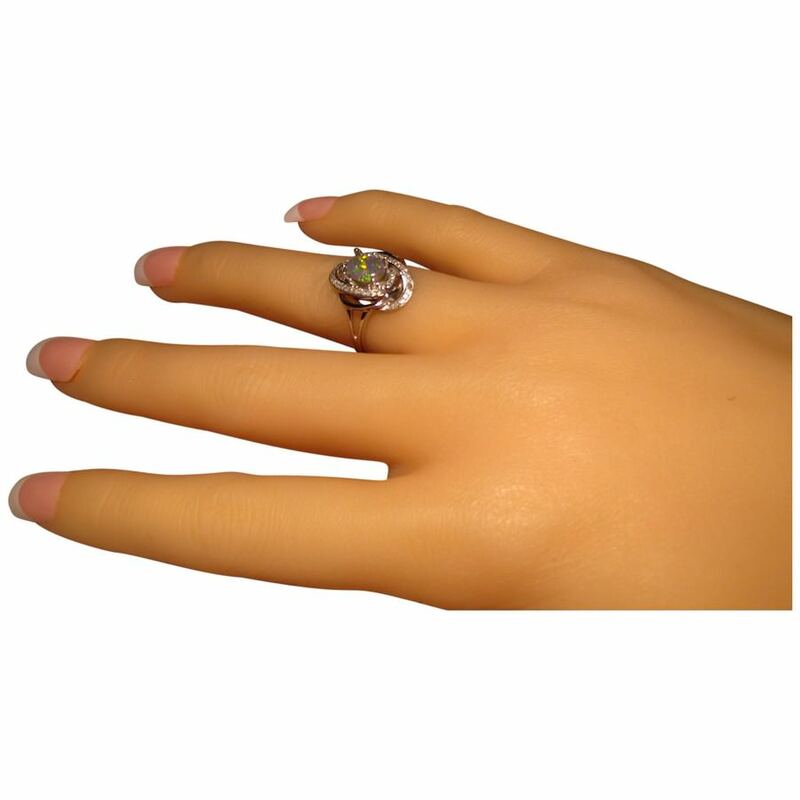 The ring is shown in 14k White Gold however as the Opal is not yet secured by the four prongs, it can be made in Yellow or Rose Gold and in any ring size. 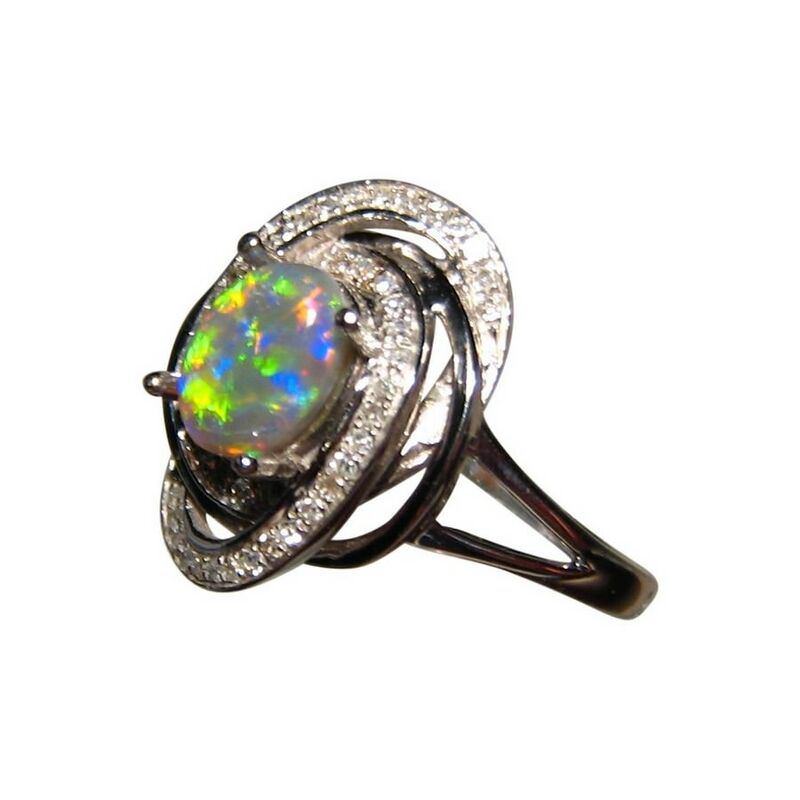 If you love the Black Opal but would prefer a different setting, contact through this page to discuss options and receive a no obligation price quote. 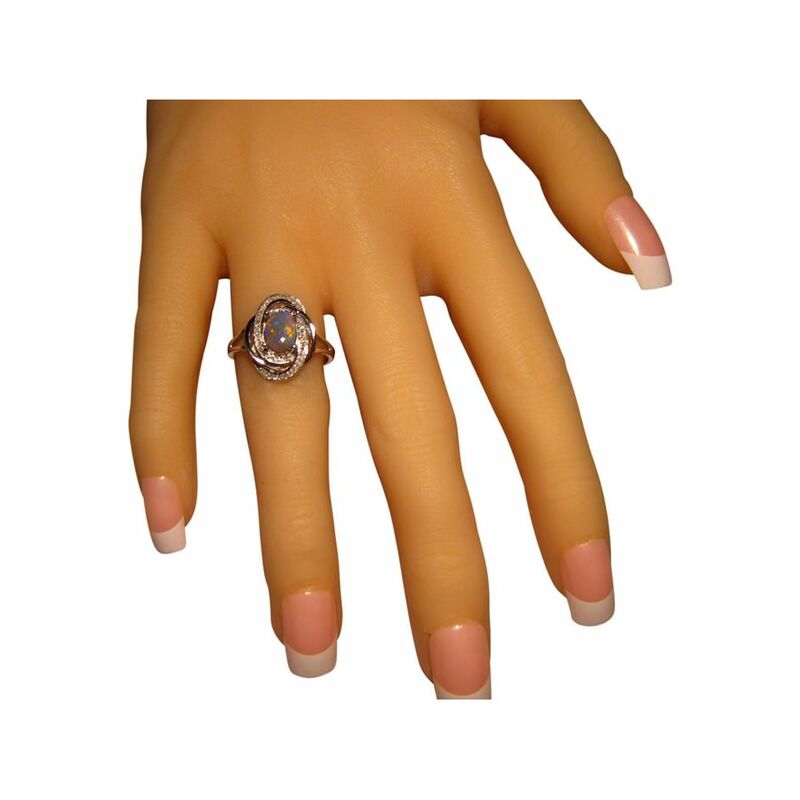 This beautiful Black Opal ring is ready to ship as detailed below or will take about 21 days to ship if any changes are requested.